A theatre project focussing on the living conditions of homeless and displaced people. Cardboard Citizens is a theatre project and performing arts collective staged, in the street, in hostels, prisons, schools as well as traditional theatre venues, whose theme relates to the living conditions of homeless and displaced people. The purpose is to let the public understand the problems of these people. 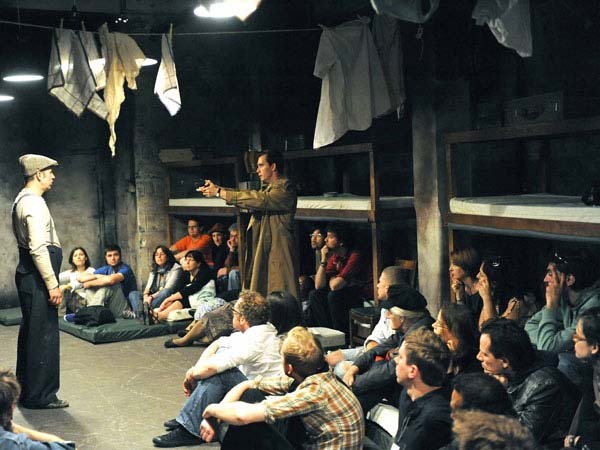 For this reason, following the Theater of the Oppressed methodology, instead of recruiting homeless men and women, the organisation has an open and ongoing process, which create dialogues and workshops to determine the nature of the performances. 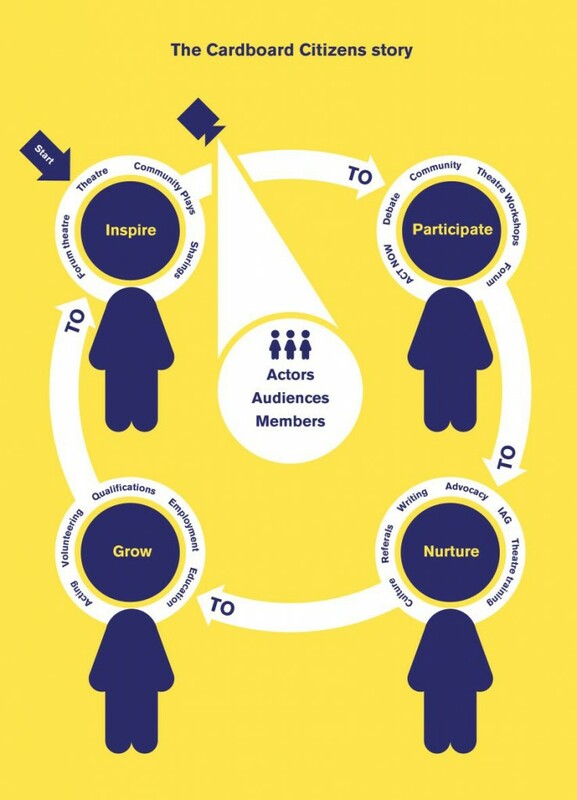 To use theatre as a catalyst for change, growth and learning for participants and audience. In addition to offering opportunities for the excluded people bringing out all kind of issues around homelessness, Cardboard Citizens supports the performers through the housing, education, health, employment, personal and professional development.